February 2019 marks the three-year anniversary of the establishment of OEA – the office exploring creative, resilient solutions to meet installations’ most pressing energy challenges. As energy resilience advocates, OEA works with stakeholders on both sides of the fence line to identify and prioritize resilient energy solutions to ensure mission success. This past year, OEA unveile d the Air Force Energy Storefront – an online digital platform tool that helps the Air Force streamline intake, prioritize and track installation energy requirements. It serves to consolidate installations requirements, leverage partnerships and advocate for energy resilience solutions all in one central place. This platform makes it easier for internal and external partners to engage with the office and ensure energy resilience is incorporated into the Air Force facility energy portfolio. Since the Storefront launch in August 2018, OEA has processed more than 175 installation and industry stakeholder submissions. OEA is also helping Air Force installations develop long-range installation-level plans that incorporate energy resilience capabilities. These Installation Energy Plans (IEPs) serve to ensure available, reliable and quality power for each of the installation’s critical missions. OEA plans to continue working with installations to outline and draft these holistic planning strategies to ensure resilience and cybersecurity requirements are included. As emerging technology trends continue to play an increasingly central role in installation energy resilience, OEA’s participation in Air Force energy innovation has expanded. OEA’s innovation efforts include developing a program to identify regional gaps for operational resilience and a collaboration tool to facilitate finding solutions for mission critical energy problems that impact installations across the DoD. OEA’s support to the Office of the Assistant Secretary of the Air Force for Environment, Safety and Infrastructure’s Energy-as-a-Service (EaaS) initiative, for instance, helped the pilot make big strides this year by crafting a new business model structure for procuring and managing an installation’s energy portfolio. By building a structure that allows for a more comprehensive contract and a cooperative, long-term relationship with a single provider, the Air Force can leverage industry expertise to address new and changing resilience and mission requirements. In late 2018, the Defense Logistics Agency published a sole source justification and approval to work with Western Farmers Electric Cooperative at Altus Air Force Base (AFB) in Oklahoma. Stay tuned for more updates on the Hanscom AFB EaaS pilot site! Consider subscribing to the OEA updates newsletter to keep up with the office year-round as it continues to advance the Air Force mission through innovative, energy resilient solutions. The military’s ability to accomplish critical missions, today and in the future, is directly dependent on reliable energy to power installations. For the Wisconsin National Guard, tasked with providing citizen-Soldiers and citizen-Airmen prepared to deploy anywhere at any time for state and federal missions, energy resilience is paramount. The Air Force Office of Energy Assurance (OEA) recently accepted an invitation to visit Joint Force Headquarters-Wisconsin in Madison and the Wisconsin National Guard 128th Air Refueling Wing in Milwaukee to determine how the Air Force Energy Storefront can best assist Wisconsin in developing technical solutions to meet their energy challenges. The OEA team witnessed how the Wisconsin National Guard is making energy resilience a critical objective through innovative public-private partnerships, power outage exercises and resilient energy projects. In spring 2018, Wisconsin’s adjutant general and senior executives from Wisconsin’s electrical utilities initiated a public-private partnership aimed at effectively preparing for, mitigating and responding to electrical utility grid incidents. The Wisconsin Department of Military Affairs and Wisconsin utility companies participated in large-scale power outage exercises that tested each organization’s emergency response plan. Exercises such as GridEx and Dark Sky helped the Wisconsin National Guard determine energy resilience gaps across the state. OEA also met with Joint Force Headquarters-Wisconsin and utility representatives of the partnership to discuss how these collaborative efforts are identifying important lessons learned, opening new lines of communication and improving interoperability. The group also touched on ways the Wisconsin National Guard can access OEA capabilities and future opportunities for replicating Wisconsin’s initiatives at other active, guard and reserve installations across the nation. In addition to building external partnerships and participating in statewide exercises, the Wisconsin military is looking at technical solutions for on-base energy resilience. During OEA’s visit, the 128th Air Refueling Wing, led by Col. James Locke, executed Badger Eclipse, a local power outage exercise on their Milwaukee installation at Mitchell International Airport. Such an exercise is crucial for identifying system weaknesses and areas of improvement, and yet is almost unheard of at military installations. In addition, National Guard staff in both Madison and Milwaukee are looking into diverse solutions to help strengthen their energy resilience in the long-term. 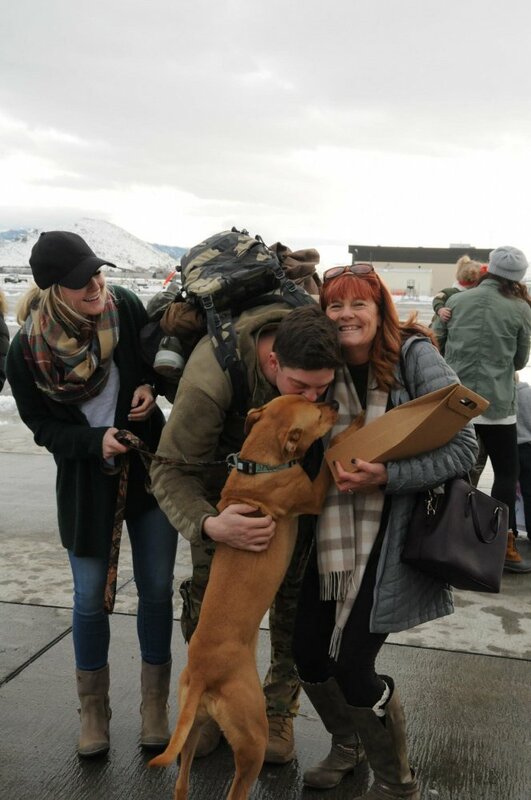 Aside from resilient energy solutions for military missions, partnerships with neighboring commercial airport operations can establish a means to provide care and shelter for civilians in the local community. OEA is excited to support the National Guard’s energy efforts and looks forward to continuing their engagement in Wisconsin and with other National Guard units and state leaders across the country. Installations and/or Wings interested in pursuing energy resilient projects are encouraged to contact OEA through the Energy Storefront Platform. OEA Participates in Energy Action Month! It takes $5.5 billion dollars’ worth of energy to power the Air Force mission. To fly, fight and win in air, space and cyberspace, the Air Force requires ready Airmen, robust weapon systems and resilient infrastructure—all of which require energy to operate. However, emerging physical, natural and cyber attacks increase the risks of prolonged widespread disruptions to energy access. So, each October, the Air Force supports the Department of Defense (DoD) Energy Action Month campaign by working with its Air Force partners to highlight the importance of energy and water management on Air Force installations, ground vehicles and aircraft. The Air Force Energy Action Month theme, Protect the Power, serves as a call to action by encouraging Airmen to engage in smart energy practices and exercise energy resilient habits as a means to achieve mission assurance through energy assurance. For the Air Force Office of Energy Assurance (OEA), however, Energy Action Month is more than a month-long awareness campaign. OEA’s mission is to ensure Airmen have the power they need whenever and wherever they need it. As energy resilience advocates, OEA works with Air Force installations to facilitate an integrated energy portfolio that helps drive mission success. Leading up to this year’s Energy Action Month, OEA has been working to promote resilient energy solutions at installations around the country. Most recently, OEA announced the launch of the new Air Force Energy Storefront during the 2018 Energy Resilience Open House co-hosted by the Army Office of Energy Initiatives and Navy Resilient Energy Program Office. This new platform makes it easier for partners to engage with the Air Force to develop energy resilience projects using strategic solutions that may not have otherwise been considered. Internal Air Force partners can now submit an energy requirement to OEA on the CAC-enabled Energy Storefront Platform site through one simple click! OEA then builds on this information to identify and implement holistic energy solutions that are now tracked in a central digital repository to measure against Enterprise energy requirements. For industry and community partners, OEA issued an open Request for Information (RFI), solicitation number W912DY-18-U-OEA1, to inquire about technical and financial data points and project development concepts from Industry. The plan is to use this data to assist OEA in expanding its energy resilience opportunities and in further developing its project development portfolio considerations. As integrated parts of local communities, Air Force installations benefit from the expertise and capabilities of the industry and community innovators around them—the RFI is a way for OEA to leverage that knowledge and build mutually beneficial energy solutions. To learn more about the Air Force Energy Action Month activities, please visit https://www.safie.hq.af.mil/EnergyActionMonth/ and use the available resources to promote smart energy management actions within your community. To stay connected with OEA and keep up-to-date on recent activities and initiatives, subscribe to OEA Updates. The Air Force Office of Energy Assurance (OEA) issued an open Request for Information (RFI), solicitation number W912DY-18-U-OEA1, to collect technical and financial data as well as innovative project development concepts from industry. OEA plans to use the information provided by industry to expand its energy resilience opportunities and enhance its project development portfolio. Responses are due by Feb. 15, 2019. For more information, please visit FedBizOpps. Reserve your spot for the Energy Resilience Open House! OEA is co-hosting an Energy Resilience Open House event with the Army Office of Energy Initiatives and Navy Resilient Energy Program Office on Tuesday, Aug. 21, 2018 in Cleveland following the first day of Energy Exchange sessions. The event will feature discussions around energy resilience strategies and future collaboration opportunities with industry partners. Seize the opportunity to hear from OEA Executive Director Robert Hughes and others for an overview of current OEA engagements – and get a front row seat to the launch of the new Air Force Energy Storefront! The Open House event is co-located with the Department of Energy's Federal Energy Management Program's Energy Exchange. Registration at Energy Exchange is not required to attend the Open House. An informal, no-host networking session is set to follow. Space is limited, and attendance is first-come-first-serve. Registration closes on Tuesday, Aug. 14, 2018 so click here to RSVP and reserve your spot today! The Air Force released a Request for Information (RFI), solicitation number W912DY-18-T-PPA1, to conduct market research and determine the feasibility of implementing various energy generation technologies to improve resilience at Joint Base McGuire-Dix-Lakehurst (JB MDL) in New Jersey. With this RFI, the Air Force seeks input from industry to further identify innovative solutions for JB MDL that ensure energy resilience and help power the mission. Responses to the RFI are due by June 1, 2018. Full RFI details may be found on the Federal Business Opportunity website here: https://go.usa.gov/xQ8YB. This RFI is part of a larger effort to bolster JB MDL’s overall energy assurance plan by ensuring reliable, resilient power is available when and where it’s needed. Previously, the Air Force issued an RFI in January 2018 for an Enhanced Use Lease for a utility-scale natural gas power plant at JB MDL to enhance the regional grid and provide direct resilience to the installation via cash payments and/or in-kind consideration projects. Instead of a utility-facing asset, this RFI seeks to gain understanding of the feasibility of a primary power source for JB MDL via an offtake agreement. The intent is for these two efforts to work in tandem to advance the installation’s energy resilience and further drive mission success. OEA serves as the Air Force Energy Storefront, the central facilitator and integrator of all Air Force base and installation energy initiatives. This means OEA assists Air Force installations with prioritizing their energy needs to meet resiliency mission requirements, engages with appropriate offices across the Air Force to ensure energy solutions are mission driven and resilient focused, and provides process and management expertise. While OEA may or may not ultimately serve as the execution agent for an energy-related project, the office works to ensure all requests are coordinated with the appropriate Air Force organization. As energy initiatives progress, OEA maintains an advisory role to ensure that resiliency components are implemented appropriately. OEA forges external partnerships to develop projects that provide creative, innovative and unbiased technology solutions to complex Air Force energy challenges. OEA is strengthening the Air Force’s energy program by working with industry, communities and defense and federal agencies. These partnerships help the Air Force leverage private-sector best practices to develop innovative solutions for Air Force energy assurance requirements. Pooling resources, sharing lessons learned and industry expertise maximizes OEA’s effectiveness in implementing resilience projects on installations and in surrounding communities. OEA has dedicated project management, engineering, financial, business and acquisition resources and expertise to assess projects and design customized solutions that support installations’ energy assurance needs and mission. OEA provides Air Force installations tools and knowledge to help deliver resiliency and meet key energy mandates. Furthermore, OEA looks for energy assurance projects that support critical missions by integrating resilient energy initiatives. OEA strives to ensure the Air Force is using its resources efficiently and productively while accomplishing the mission. Get the latest on OEA project opportunities and information by subscribing to OEA Updates. February marks the second anniversary of the establishment of OEA. During this exciting time in resilient energy and technological innovation for the Air Force, OEA is exploring creative solutions to meet the most pressing energy challenges at installations across the nation. In its first two years, OEA has been proactive in its approach to resilient energy projects by initiating project development at seven installations and actively exploring opportunities at 29 installations. In Nevada, for example, OEA is leveraging industry partners to install battery storage technology that will significantly decrease downtimes for the installation's critical missions by reducing the impact of wind-event related outages. At Beale Air Force Base, OEA is working to identify energy assurance solutions to problems identified in the Resilient Energy Demonstration Initiative (REDI) process. These solutions include exploring and pursuing potential solar, substation and microgrid opportunities that can be replicated at other installations in the future with minimal modifications. So far this year, OEA issued a request for information on Enhanced Use Leasing for natural gas and engaged in the FY2017 Environmental Security Technology Certification Program (ESTCP) call for large scale energy storage project proposals. Stay tuned as OEA continues to develop innovative energy solutions at installations across the nation by subscribing to the OEA Updates newsletter. The Air Force issued a request for information (RFI), solicitation number AFCEC-18-R-0001-221118, to assess interest and market feasibility for enhancing the installation’s resilience through optimization of a real estate parcel at Joint Base McGuire-Dix-Lakehurst (JB MDL) in New Jersey. This RFI seeks to improve the current understanding of market opportunities, ideas, approaches and strategies that may simultaneously optimize the value of Air Force real property and meet the installation’s resiliency requirements. The RFI also aids in structuring potential procurement activities and projects so industry can effectively respond. “We want to structure projects in a way that is both suited for mission assurance and attractive for private sector investment,” stated Robert Hughes, Air Force Office of Energy Assurance executive director. Overall, the Air Force is seeking industry input to better understand technology, financial aspects, regulatory impacts and the feasibility of projects while also integrating resiliency. Responses to the RFI are due on Feb. 23, 2018, no later than 5 p.m., CST. To facilitate the exchange of information and provide interested parties an opportunity to visit the available parcel, an Industry Exchange is scheduled to be held on March 15, 2018 at JB MDL. Attendees must register through the instructions in the RFI. For more details about the RFI and the Industry Exchange, visit the Federal Business Opportunity website: https://www.fbo.gov/index?s=opportunity&mode=form&id=a5c2d4f7f47c3bd3a755f5217a7bc687&tab=core&_cview=0. The Air Force depends on a reliable supply of energy. The risk of prolonged, widespread disruptions to energy can hinder the Air Force ability to carry out its mission. OEA is essential to advancing the Air Force strategic energy goal of improving resiliency - ensuring the ability to continue operations, recover from energy interruptions, and sustain the mission. OEA implements mission-driven energy assurance projects that power installations with more resilient, cost-effective, and cleaner energy through partnerships and third-party financing. These projects will move the Air Force toward enhanced energy assurance and increased energy security. The Project Development Process defines a consistent framework through which the lifecycle of energy assurance projects is developed and tracked, regardless of acquisition method. In the Opportunity Development phase, initial energy assurance concepts based on installation requests, OEA research, or industry suggestions and proposals are evaluated for viability and alignment with installation mission needs. Once an opportunity is validated, it is elevated to a full-fledged project. During the Project Development phase, a team is assigned to develop the project in coordination with Air Force and industry stakeholders. In this phase, project details and acquisition method are fully developed. Decision points are defined throughout the process to ensure projects continue to meet energy assurance objectives and to quickly eliminate projects that are not viable or fail to meet Air Force mission needs. OEA is supporting Energy Action Month by raising awareness of the critical connection between energy resiliency and Air Force mission success; sharing best practices and project opportunities; and reaffirming the Air Force’s commitment to energy priorities. OEA representatives will present at the iEcosystem Symposium hosted by the Massachusetts Institute of Technology, Society of American Military Engineers Kitty Hawk Industry Day, the Southeast Military Energy and Environmental Roundtable, the Massachusetts Military Task Force Roundtable, the Power Up Energy Expo and numerous other public engagements that seek to promote Air Force and Department of Defense energy goals. “Protecting the power is not just an endeavor demonstrated one month out of the year – it is the foundation of OEA’s mission to deliver energy resiliency solutions to meet 21st century threats,” said Robert Hughes, OEA Executive Director. The Air Force Energy Flight Plan makes clear, the Air Force must optimize its demand and use resources efficiently and productively, enhancing mission assurance through energy assurance. As the storefront for creative Air Force energy solutions, OEA drives energy assurance projects that power installations with more resilient, cost-effective, and cleaner energy by using partnerships and third-party financing strategies. OEA regularly collaborates with private industry, local utilities, and community leaders to explore partnership opportunities that will advance the mission. “Identifying shared interests and mutually beneficial solutions are critical to implementing projects and mission success,” explained Hughes. 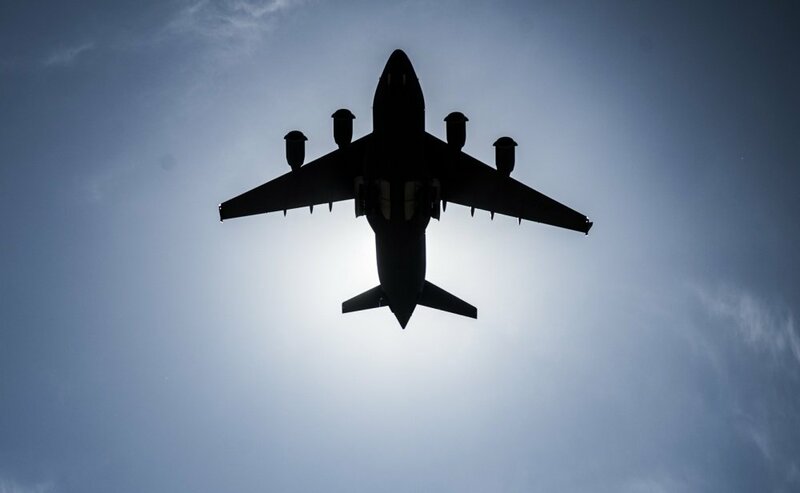 Recently, OEA achieved its first procurement action through the release of a Notification of Opportunity for an energy savings performance contract project at Joint Base Langley-Eustis, Virginia. This OEA milestone signifies momentum, collaboration, and a proactive project development approach that’s necessary to assist the Air Force in reaching strategic energy goals. Currently, OEA has active project concepts at Barksdale AFB, Louisiana; Beale AFB, California; Joint Base Langley-Eustis, Virginia; Joint Base McGuire-Dix-Lakehurst, New Jersey; and Whiteman AFB, Missouri. These project concepts have a potential capacity of more than 400MW of combined generation and storage, enabling OEA to provide the Air Force with mission-ready installations. The department-wide commitment to “Protect the Power” will help ensure our nation’s Airmen are always able to perform their mission. To learn more about “Protect the Power” and Energy Action Month initiatives, follow the Air Force Energy Twitter account (@AFEnergy) and subscribe to OEA Updates. The Air Force Office of Energy Assurance (OEA) is pursuing an energy savings performance contract (ESPC) for Joint Base Langley-Eustis (JBLE) and NASA’s Langley Research Center through a Notice of Opportunity (NOO). The notice is an invitation for the current 21 energy service companies holding the 2017 Department of Energy Indefinite Delivery Indefinite Quantity ESPC to submit a written response for Defense Logistics Agency Energy’s consideration by Oct. 6, 2017 at 3 p.m. Eastern time. The project is a direct outcome of an energy assurance workshop coordinated by OEA, and the Air Force Civil Engineer Center, to create comprehensive energy assurance strategies driven by JBLE mission requirements. OEA engaged with mission owners and installation energy staff at JBLE to develop this ESPC as one part of an installation-wide energy strategy tailored to JBLE energy needs. “We are investigating other creative solution sets at JBLE that may allow for even greater resiliency during times of energy disruptions,” stated Bennett. This ESPC will enhance energy assurance through distributed generation, reduction of base load, and improvements to energy efficiency and production. Additionally, this project will help JBLE and NASA’s Langley Research Center make progress toward meeting mandates to reduce energy intensity and increase use of renewable energy. “The JBLE and NASA’s Langley Research Center project is just one example of how OEA is integrating more resilient, cost-effective and cleaner energy resources to ensure Air Force installations have uninterrupted access to energy to carry out their missions,” added OEA Executive Director Robert Hughes. Currently, OEA is also validating other project concepts at Barksdale Air Force Base (AFB) in Louisiana; Beale AFB in California; Joint Base Andrews in Maryland; Joint Base McGuire-Dix-Lakehurst in New Jersey; Offutt AFB in Nebraska; Tinker AFB in Oklahoma; Travis AFB in California; and Whiteman AFB in Missouri. OEA shared its approach to resiliency and energy assurance efforts at several key events during the 2017 Energy Exchange conference in Tampa recently. Energy Exchange is an educational and networking forum sponsored by the Department of Energy’s Federal Energy Management Program. Throughout the conference, OEA emphasized the value of collaboration, the progression of project opportunities and the critical connection between energy resiliency and Air Force mission success. OEA kicked-off the Energy Exchange with the Joint Industry Outreach Open House, which served as a supplement to the joint On-Site Energy Storage Request for Information released in partnership with the Army Office of Energy Initiatives, or OEI, and Defense Logistics Agency Energy. The open house provided the opportunity for attendees to learn more about the purpose of this joint RFI and the way forward for future collaboration and engagement. “We want to create projects that are both suited for mission assurance and attractive for private sector investment,” said Robert Hughes, OEA executive director. Responses received from industry have been shared among the services to facilitate effective structuring of potential procurement activities and projects for both the Air Force and Army. “We always seek ways to collaborate with industry, sister services and federal agencies however we can. Using a joint approach can help us do more, faster. Effectively working together is critical to the success of our mission,” said Hughes. At the Service Approach to Resiliency through Renewable Integration panel, Hughes explained the Air Force’s approach to strategic energy to those unfamiliar with OEA, lessoned learned that helped evolve business models and identifying opportunities to maximize mission assurance. Industry attendees were most captivated during the dialogue about OEA project concepts. “Our projects are mission-driven. We shape projects around an installation’s mission requirements and not a particular technology,” said the OEA executive director. Mission requirements provide the starting point that also supports a comprehensive funding plan including third-party funding, research and development and appropriated funding components. Currently, there are four concepts sites that are being explored: Barksdale AFB, Louisiana; Beale AFB, California; Joint Base Langley-Eustis, Virginia; and Whiteman AFB, Missouri. Due to the robust nature of validating project concepts, there may come a time when a project concept may no longer be feasible to continue through the project development process – they will be replaced with new project concepts, Hughes told the audience. To complete the panel, the executive directors from OEI and the Navy Resilient Energy Program Office also offered perspectives on their approach to creating an energy resilient service. Energy-as-a-Service panel: OEA Senior Advisor Shawn Bennett discussed the Air Force’s approach and actions taken to implement EaaS, an emerging business model that consolidates multiple contract authorities into a single contract action to acquire long term energy and utility services. Essentially, the Air Force will partner with industry to buy the capability, not just the commodity. EaaS RFI Industry Day: This industry day brought together representatives from the Air Force, DLA Energy, industry and other stakeholders to seek feedback from the Air Force EaaS RFI. Specifically, this event gained industry input on how EaaS can best be implemented at Hanscom AFB, Massachusetts; and Altus AFB, Oklahoma; both prospective project sites. Renewables for Resilience panel: Eric Yates, OEA director of Real Estate and Acquisitions, shared the importance of integrating renewable energy to deliver increased energy assurance at critical facilities. During the panel, Yates discussed assessment methods used to identify requirements, various financing methods to promote resiliency, unique aspects and considerations of energy projects, and lesson learned from partners such as the Air Force Civil Engineer Center, Air Force Research Laboratory and sister services. Energy Exchange offered an opportunity to spread the message of energy resiliency and gain momentum with partners from across the energy industry and federal government. Hughes noted each event and panel was constructive with receptive potential partners who were eager to learn more about ways to contribute to the OEA mission. OEA recently established the Directorate of Innovation and Strategic Integration to advance energy sustainability — improving resiliency, optimizing demand and assuring supply — with some help from our innovative partners. Its responsibilities include driving OEA’s Fiscal Year 2018 Strategic Plan and standing up a Joint Energy Development, Demonstration and Innovation, or JEDDi, Lab. The JEDDi Lab will employ a joint-service, public-private partnership and interdisciplinary approach to developing innovative energy assurance ecosystems and solutions. Together we can identify root problems, shared challenges, process consolidation, policy and regulation improvements, emerging technologies and creative procurement pathways. The group has formalized its first charter and Memorandum of Agreement, and hopes to recruit more energy innovators and partnerships. Below are a few OEA JEDDi Lab activity highlights. OEA is collaborating with several laboratories to include: Air Force Research Laboratory, Army Research Laboratory, Idaho National Laboratory, National Renewable Energy Laboratory, Office of Naval Research, Pacific Northwest National Laboratory. OEA and ONR are co-sponsoring a Hacking for Defense course at Stanford University in spring 2018 to develop concepts, technologies or prototypes that help solve important national security challenges. The Air Force Civil Engineer Center is working with the University of Alaska Fairbanks and University of Texas at Austin to perform data analytics studies for its advanced meter reading system. OEA is exploring vehicle-to-grid battery optimization with the Alaska Center for Energy and Power and the Center for Electromechanics. Solutions could provide a second life for batteries retired at 80 percent of their lifecycle as well as an alternate/redundant energy generation source. OEA is working with Launch Alaska to tackle regional energy challenges that threaten local bases and surrounding communities. The non-profit accelerator provides a 120-day process for companies to improve operations, identify market and product fit, learn how to innovate and iterate quickly and become investment-ready, scalable ventures. MD5, a national security technology accelerator, developed by the National Defense University and the New York University, takes OEA’s interdisciplinary approach to the next level of execution. Do you have what it takes to be a JEDDi partner? Visit our website for more information on how to Work with OEA. Join the OEA Updates list serve to stay tuned for more OEA news. *The U.S. Air Force does not endorse any non-federal entity, its products or its services. The appearance of an entity’s name on this commentary does not suggest endorsement, sponsorship, contractual relationship or preferential treatment of any kind by the U.S. Air Force with that non-federal entity. Air Force installations span roughly nine million acres of land -- that’s just larger than the states of Maryland or Hawaii! Think about how much energy, resources and manpower it takes to operate and maintain resiliency for an area of that magnitude. The Air Force accounts for nearly 50 percent of the total DOD energy consumption and costs to sustain its mission. That’s where we come in. The Air Force Office of Energy Assurance (OEA) helps Air Force installations take a more comprehensive approach to energy management and resilience. Engagement with industry and communities increases opportunities to leverage resources and capabilities that contribute to research, design, financing and development of innovative solutions that mitigate energy management risks and vulnerabilities. This is why the OEA has actively participated in various energy assurance, resiliency and security activities during the last year. 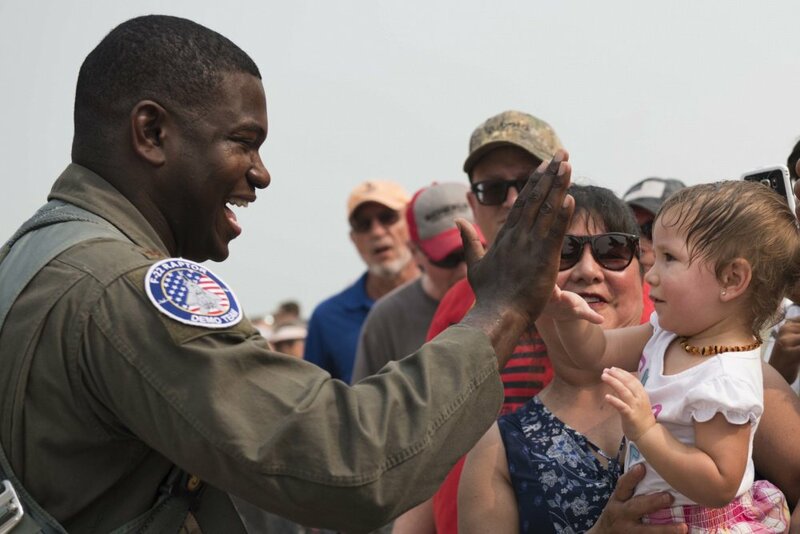 From site visits and interest meetings to events and conferences, we’re taking action to pursue a more energy secure future and maintain the continuity of support that our Airmen need to fly, fight and win! Currently the OEA is engaged with nearly 20 installations, that’s about 1/3 of active Air Force bases, with four projects moving towards execution. Additionally, OEA is participating in and presenting at events and conferences to raise awareness of our efforts, meet other innovators and learn about potential solutions. Visit OEA News & Media and subscribe to OEA Updates to stay up-to-date on OEA activities! The United States Air Force signed a Memorandum of Understanding (MOU) with Viziv Technologies, LLC to collaborate in a partnership to advance surface wave technology. The concept behind this technology is to use a type of electromagnetic wave, called a Zenneck Surface Wave, to carry communications signals or electrical power efficiently over long distances along the Earth’s surface without the need for wires. The construction of a new ground-mounted solar array is part of the answer at Hill AFB, as the base works to improve the resilience of the power supplies to itself and reduce its reliance on energy sources outside the fence line.